Want to learn how to pull off an eclectic style? Roomhints compiled our TOP hints for eclectic decor, featuring a gorgeous project by the interior designers at Threshold Interiors NYC. 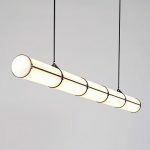 If you’re looking for something vivid, sophisticated, and bold, check out our hints and the project below and let us know what you think in the comments. Can’t decide which interior design style you love most? Do you find yourself torn between modern farmhouse and sleek contemporary? For many people, an eclectic style is the perfect way to borrow from and mesh your favorite parts of every design style. Eclectic decor is the perfect way to showcase your unique style and personality and play with different decorating styles, influences, and eras. However, the enormous freedom that comes with an eclectic style can also be overwhelming and intimidating. 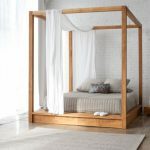 Here are 14 hints for creating the eclectic space of your dreams, featuring a beautifully eclectic home by Threshold Interiors NYC. Having a unified color scheme is the best way to create cohesion when you are combining many different styles, elements, textures, and pieces of furniture. Make sure that you have a signature color and an accent color. ProHINT: Having a neutral background is the perfect way to ground an eclectic space. A neutral foundation allows you to truly highlight bold pieces and create controlled chaos. Neutral with pops of color is every interior designer’s go-to palette! 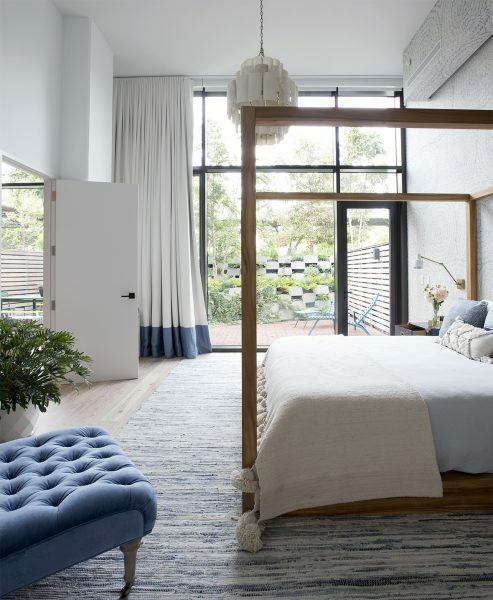 The bedroom has a cool blue color palette that is warm and inviting. We created a tonal space that was sea-inspired and features soft milky blues. 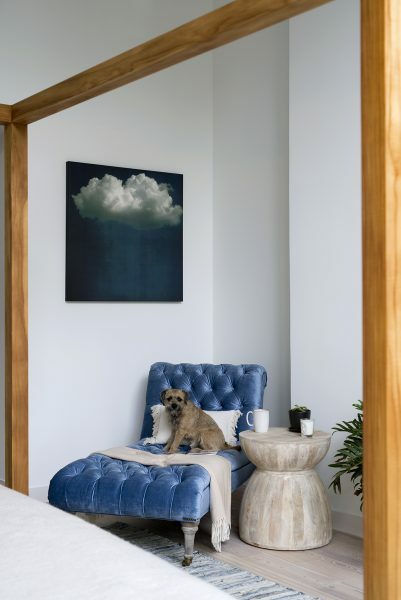 From the blue wallpaper to the blue textured rug to the blue pillows and night stands, all of these elements are rather muted on their own, but create a stunning impact all together. 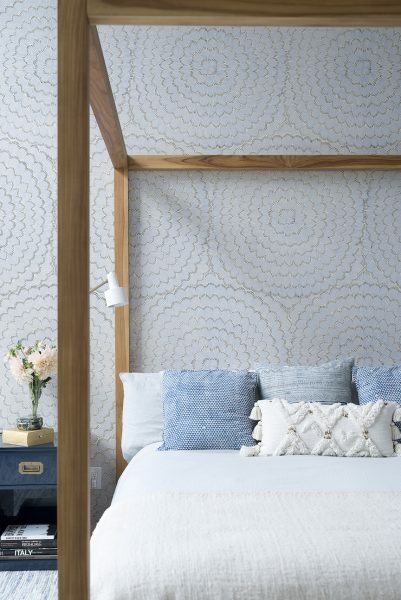 Each piece features a different texture, pattern, and shade of blue, but because they’re all so subtle, the space looks cohesive and none of the pieces clash or look too busy. The color inspiration for the bedroom was definitely the wallpaper. We thought that blue was a good color to use for the master since it is gender neutral. The curtains even feature a hint of blue at the bottom. 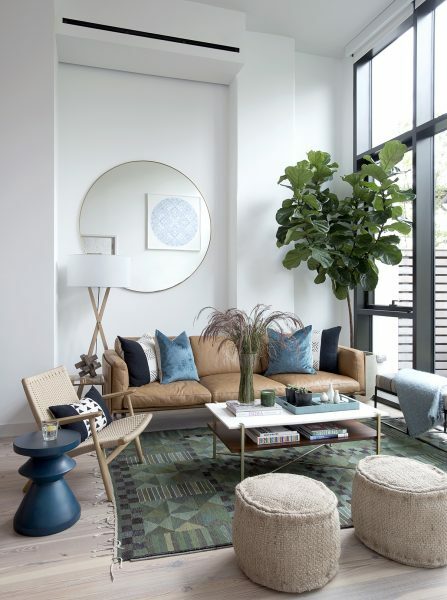 The blue velvet chaise and the green plant are the most vibrant pieces in the room, contrasting nicely with the subtle colors of the rest of the space. Because the ceilings are so high, the poster bed and drop light fixture helps to create another level to the space. 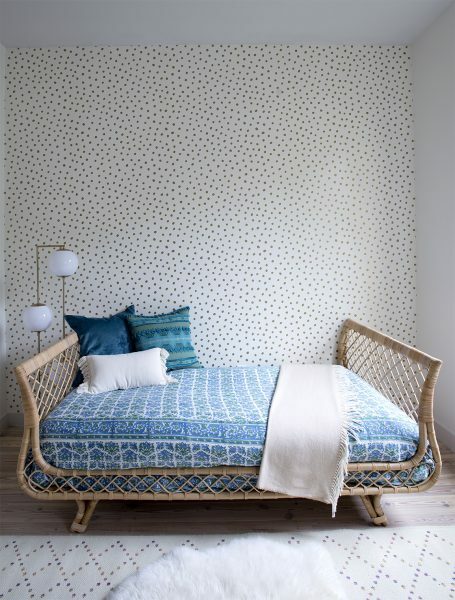 The warm wood on the poster bed looks beautiful against the cool blue tones, and the platform also helps make this bed a dreamy place to rest! Most people opt for an eclectic style so that they can showcase their favorite collections and mementos. Displaying personal items with sentimental value is the best way to make your home feel like home. Nothing lets your personality shine more than handcrafted pieces that you can’t get at any department store. However, you should be selective with these mementos and only display truly special items that showcase your interests, travels, or artwork. ProHINT: Keep family pictures to a minimum! Keep family pictures in private spaces, like the bedroom, or scatter them around your home in a way that feels more warm and organic. 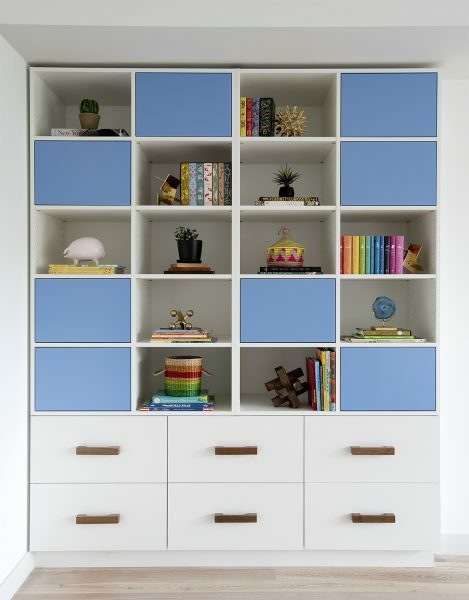 We loved mixing open and closed storage in this functional yet eye-pleasing bookcase. A bookcase is a great way to store needed items and display prized possessions. 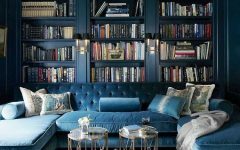 When done right, a bookshelf can be a warm and inviting corner of the house and a conversation starter with guests about your carefully-curated pieces. ProHINT: Built-in bookcases are a great design feature because they blend into the rest of the space and don’t look bulky, like other bookcases can tend to look! Many people mistake eclectic decor for a free-for-all where you throw anything and everything together. To the contrary, because eclectic decor can be challenging to pull off, it is THAT much more important to be selective and to carefully curate everything you put together! Eclectic decor should be thoughtfully edited so that pieces don’t clash. When you are intentional with your design, you are able to create a one-of-a-kind space that is still cohesive. One of the best guiding principles with eclectic decor is to always have a focal point or statement piece. You want to draw the eyes to this focal point, with everything else acting as supportive pieces. Your focal point should be an eye-catching element like an accent wall, a fire place, or bold piece of artwork. 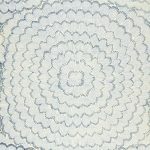 Having something that you can focus your attention on brings a sense of comfort and harmony. We brought color into each room and made each space feel bright and bold but also homey and comfortable at the same time. In this room, the couch is definitely the focal point. The den perfectly encompasses the colorful aesthetic and creative impulses throughout the house. 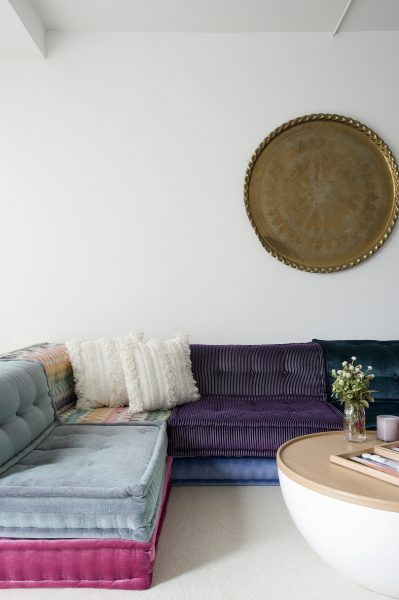 We used cushions of varying colors and materials, such as corduroy and velvet, to create this unique couch that is both comfortable and interesting from a design standpoint. Because this piece was so colorful, we kept the rest of the space pretty minimal. Mixing textures is a great way to create an eclectic style because mixing textures tends to be easier than mixing colors or patterns. Mix wooden furniture with metal hardware, upholstered items with hard pieces, throw in shaggy pillows and plush rugs. ProHINT: Make sure you use a texture more than once! 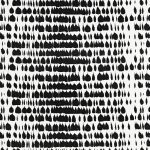 Using a texture more than once helps to pull different items together and keep a space looking cohesive. In this mini office corner, we got creative with the textures that we used. 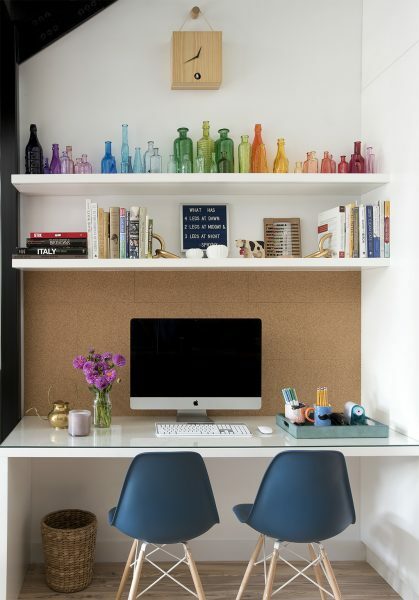 The glass bottles, white walls, and even the corkboard all introduce different textures that feel organic and natural. Knowing how to layer pieces is huge part of eclectic decor. Eclectic decor is all about combining different elements, textures, patterns, and colors. There should be a good mix of bold and subtle pieces. ProHINT: Rotate pieces seasonally for variation! If you’re someone who loves to switch out pieces, knowing how to layer is crucial. We definitely continued the blue colorway into the living area, which features a warm wood and warm brown furniture accented with blue pillows and furnishings. We love how all of the seating pieces introduce a different texture to the room: the leather sofa, the woven chair, the fabric cushions and bench. The rug was perfect because it tied in the blues, beiges, and greens throughout the space. Lastly, a round oversized mirror helps to create the illusion of a bigger space, which was much needed in this area. 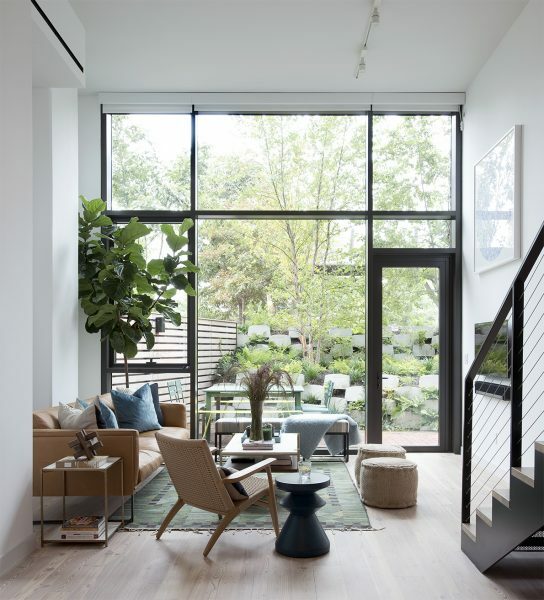 The giant floor-to-ceiling windows were obviously a focal point in the room, especially since they led to a beautiful green view. 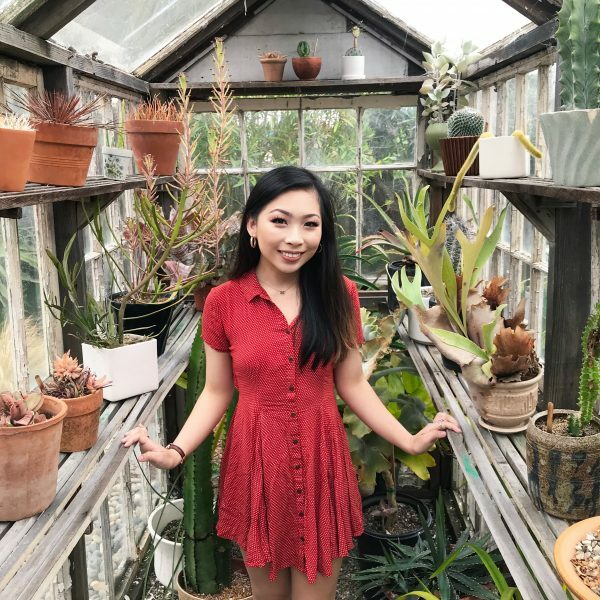 We wanted to bring the outdoors inside to make the space look more cohesive, and we think that using color in the space, as well as putting this giant plant in the corner, really did that. One of the biggest pitfalls of eclectic decorating is overdecorating. Overdoing a space will result in visual chaos. You want to avoid clutter and throwaway pieces. Don’t underestimate the importance of negative spaces that let the eyes rest and keep a space from looking too busy and distracting. Refined, not random! In this mini corner of the home, we kept it simple with a geometric pattern on the cabinetry and a plush decorative piece. 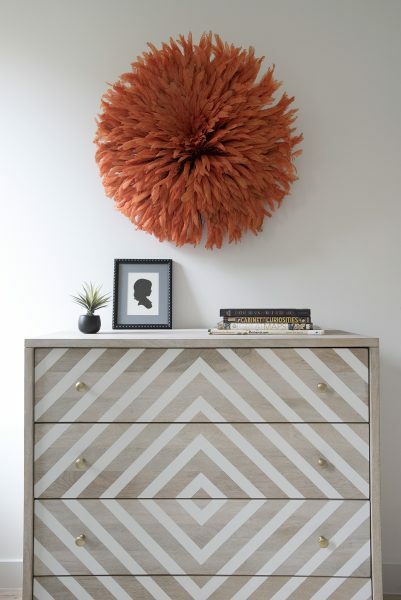 Add in a few simple pieces on top of the drawers and you’re good to go! Often times, starting a room is the hardest part of the design process. In times like these, it’s great to have a statement piece that serves as the jumping off point for the rest of the room. A piece of art, area rug, or handpicked sofa can serve as the inspiration for the colors and textures of a room. 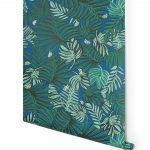 Just as we did in the bedroom and dining area, we utilized unique wallpapers extensively throughout the home to give it that “wow” factor. In this room, the wallpaper was definitely the jumping off point, and we thought this wooden side table plays nicely with the green, leafy tones. 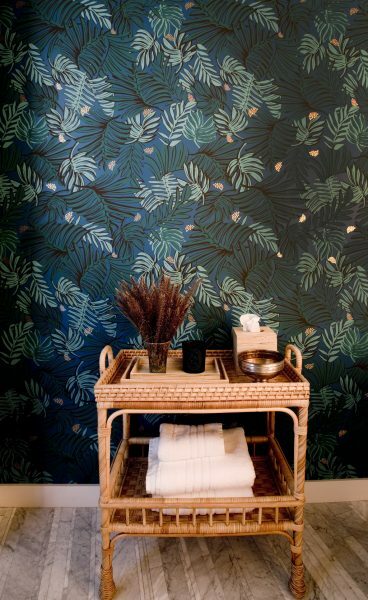 We can’t decide which wallpaper is our favorite — the picture frames, polka dots, or palm leaves! Each room should be usable and most pieces should have utility — there is nothing worse than a “see-don’t-touch” room. Your home should be beautiful, but also comfortable, cozy, and lived-in! Incorporate baskets, trinket trays, and artistic side tables that are beautiful to look at but also serve a purpose. You should also consider the mood of a room — is it casual or formal? Light and bright or dark and bold? Asking these essential questions is a great way to guide your design process when creating an eclectic home. Our biggest challenge was capturing the space under the staircase so that it would be usable for the family. 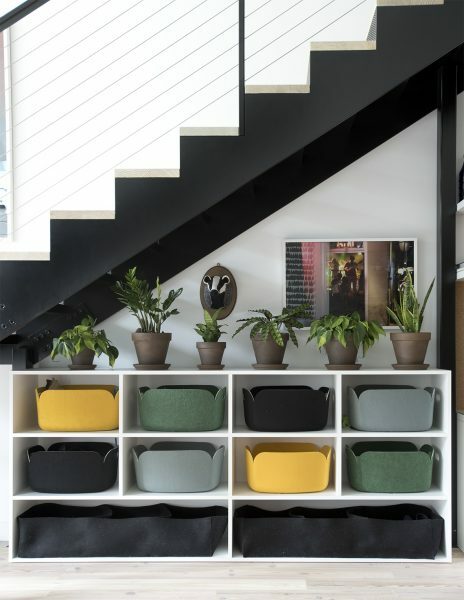 The staircase was definitely a challenge, but by painting it a bold black and by utilizing the space under it as storage and office space, we used the staircase as a design element and made sure that it didn’t take away any living space! The office space is the perfect addition to this eclectic space. 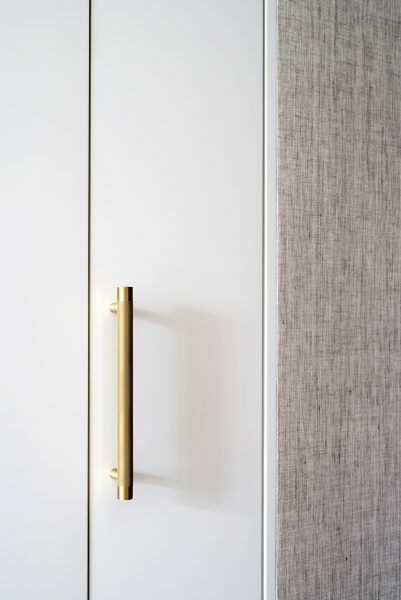 We definitely wanted this space to be purposeful, and so we incorporated a lot of elements that had high utility, like a cubby storage, a desk area, a coat closet, and bulk storage. We even managed to fit in a 12′ ladder — not an easy feat! When going for an eclectic style, it is important to have distinct living spaces so that design elements don’t messily spill onto one another and look chaotic. An area rug or accent wall is the perfect way to create separate living spaces. ProHINT: A gallery wall is a great way to not only create a medley of everything you love, but to define spaces with vast walls that stretch across an entire room and can look bare. The dining area is where we went really bold. Because the home is a vertical, open-concept space, it was important to create separate spaces, and our use of color really helps to signal these separate spaces. The banquette was a great way to demarcate a space for dining, and we opted for a round table to maximize flow in this vertical space. Lastly, the wallpaper obviously creates the boldest impact in this dining area. It’s fun and chic, and the black banquette helps to ground it. ProHINT: High contrast spaces ALWAYS wow people. 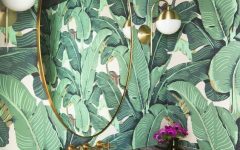 Since they can be risky and intimidating, a safe bet is to create high contrast spaces in smaller, private, or recreational rooms, like a powder room, a kids’ bedroom, or an entertainment basement. Working with an interior designer to create an eclectic style is very important because designers are great at harmonizing separate and distinctive styles. A designer’s expertise plus your personal flair and interests makes for the perfect combo! Many interior designers despise furniture sets because they can look boring. 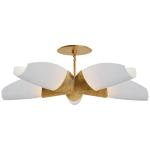 Every design element, from your dining table and dining chairs to your sofa and ottoman, is a new opportunity to play with diverse styles, colors, and materials. In this space, we opted for a wallpaper with gold flecks that play nicely with the warm tones in the bench but doesn’t match it completely. Blend, don’t match! 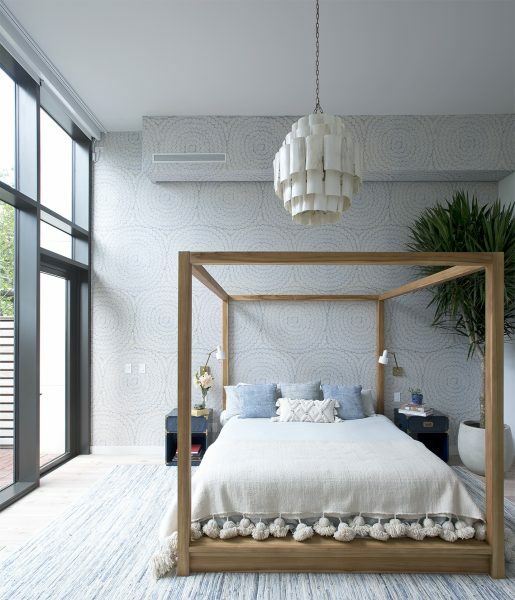 A good rule that many interior designers live by is balance, not symmetry. How do you create balance? Make sure everything is scaled nicely, keep in mind placement and layout, maximize flow in the room, incorporate neutral finishes and understated elements, and be consistent with colors and textures. Because the kitchen area was a multifunctional space — it was a kitchen space and an office space, and also featured a huge staircase — we went for a neutral, white color palette and introduced color through the furnishings, such as the blue kitchen island barstools, colorful cubby organizers, and blue office chairs. 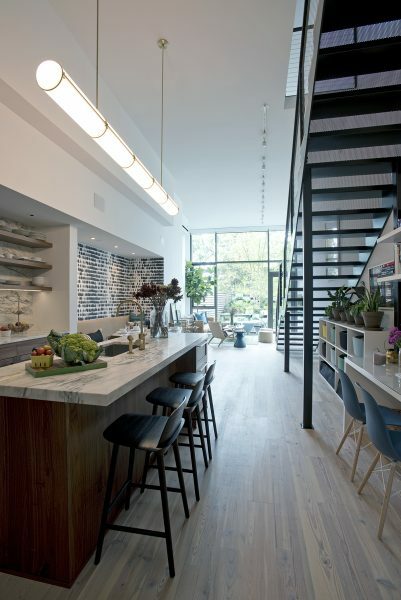 The highlight of this kitchen is definitely the marble countertops and backsplash. We used open shelving so that we could really show off the backsplash. Since the ceilings are so high, we used a drop-down light fixture that covers the entire kitchen island. Eclectic decor is the perfect opportunity to go out of your comfort zone and push the boundaries on all of the interior design “rules” you thought you knew. 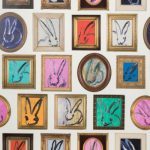 This bunny wall is the definition of fun, eclectic, and unexpected. One of the most important rules of eclectic decor — HAVE FUN! An eclectic style can be highly personal, hugely rewarding, and totally fun! Not for the faint of heart, eclectic decor is for fun, free-spirited, adventurous types who know that personal flair will never go out of style. 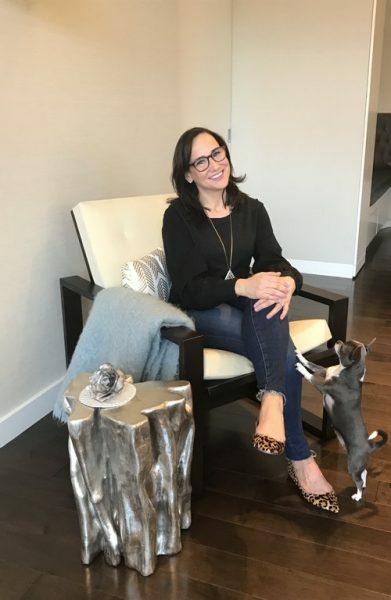 Liz Tiesi, owner and lead designer at threshold interiors, has a BA in History from UCLA and completed her interior design training at the Inchbald School of Design in London. While living in London for over ten years, Liz was able to travel frequently and had the opportunity to view architecture and design elements from all over the world. She has incorporated her international experience into her work and initially started her design business developing and designing property in the UK. Upon her return to New York in 2010, Liz opened her own design firm to provide a fresh approach to the creation of residential spaces. Her design philosophy envisions interiors that are in keeping with the local vernacular, but are still sophisticated and reflect her clients’ desires. Liz values her clients’ perspective and always endeavors to have their homes be cohesive, stylish and comfortable for their lifestyle. 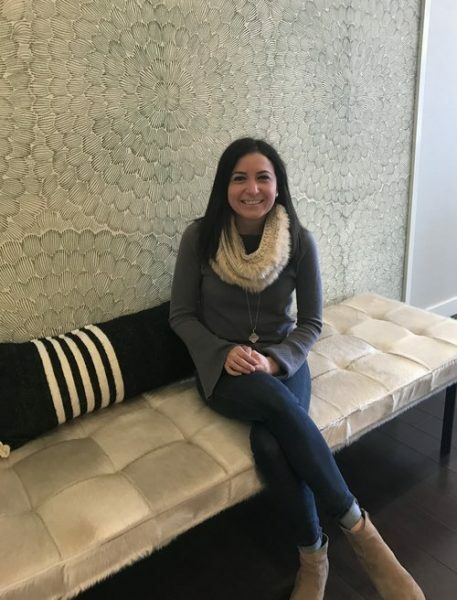 Chrissy Rault, Senior Interior Designer at threshold interiors, graduated from Roanoke College with a BS in Business and completed her Interior design training at the New York School of Interior Design. She has honed her interior design skills through her many years of experience working at a variety of design firms. Her business degree allows her to use her knowledge of marketing and finance in her approach to projects and vendor relationships. 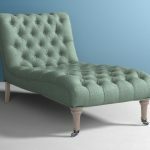 For more information, visit thresholdinteriorsnyc.com. 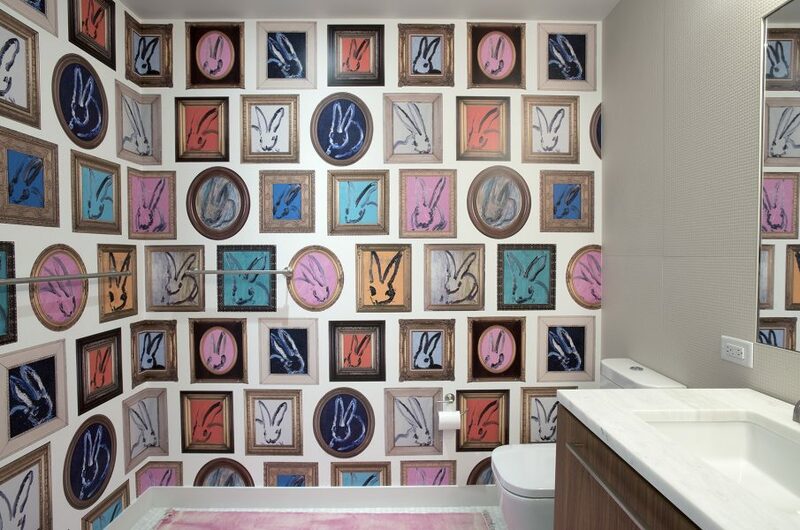 18 Amazing Bathroom Wallpaper Ideas!